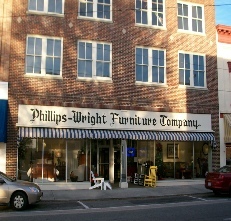 In Business in the same location since 1923, our 3 story building may look small from the outside, but it is packed with furniture for every room in your home. We specialize in Casual every day furniture in every color and style imaginable. 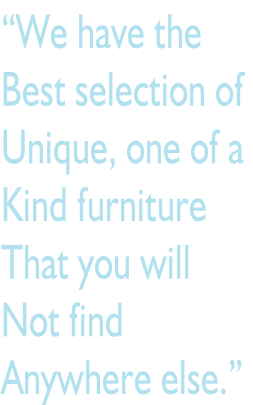 We carry sofas, sectionals, chairs, recliners, bedroom and dining room furniture, Sealy Mattresses, Polywood Outdoor Furniture, lamps, pictures, rugs and accent pieces from all over the world. If you’re looking for color, we’ve got it. We stock upholstered furniture in lots of bright and colorful fabrics ready to be delivered immediately or you can pick out your own fabric or leather from our 3000+ fabric and leather choices and we can order exactly what you want in a very timely manner. Stop by today or check out our In Stock Gallery for some examples of what we currently have in stock.